We thought this was a fantastic idea for small space or studio living. The curiously named Flattered is part hotel and part private apartment rental located in the city of Porto made up of rooms that feature a mix of vintage furniture and illustrations by up-and-coming Portuguese artists. 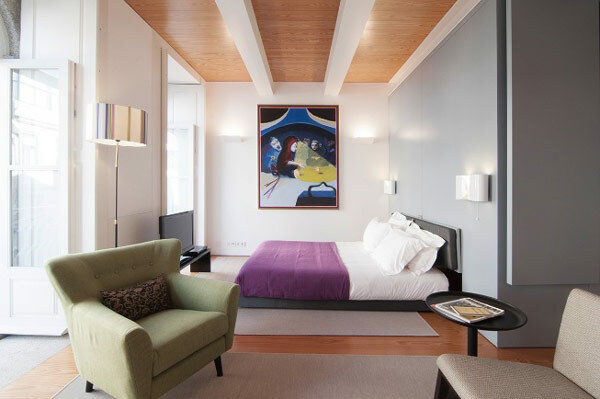 The apartments have been designed to be flexible, combining open living spaces with hidden sleeping quarters, done by building wooden boxes with a concealed bed that can be pulled out as and when necessary. 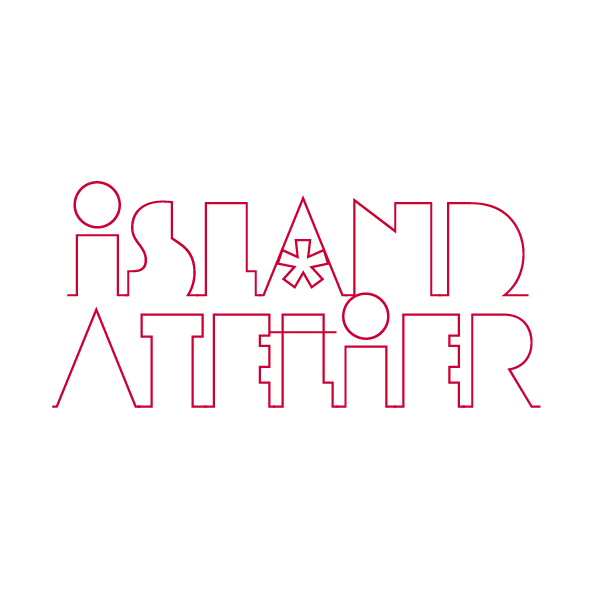 We're so excited that two of our major obsessions of the moment have collaborated. Ben Gorham, the athlete-turned-perfumer behind Byredo which we wrote about here and here, has created two fragrances for the & Other Stories line of body products: Frozen Verbena and Equatorial Dreams. Frozen Verbena has notes of lime and basil with a hint of verbena and tropical Equatorial Dreams evokes pomegranate, coconut and mango with a hint of tiger orchid. 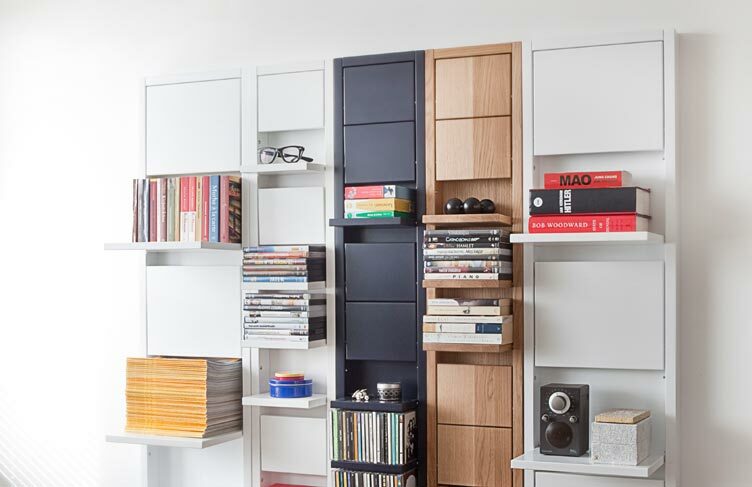 The Clapperboard series of shelves from Elsa is a brilliant concept for small space (or otherwise) living. It combats the problem of having impractical, obtrusive furniture by ensuring that shelving space is there when you need it and gone when you don't. The versatile system looks sleek and streamlined when not in use but provides multiple surface areas when the panels are pulled down. The shelving units come in a number of different woods and finishes making them suitable for most interiors. 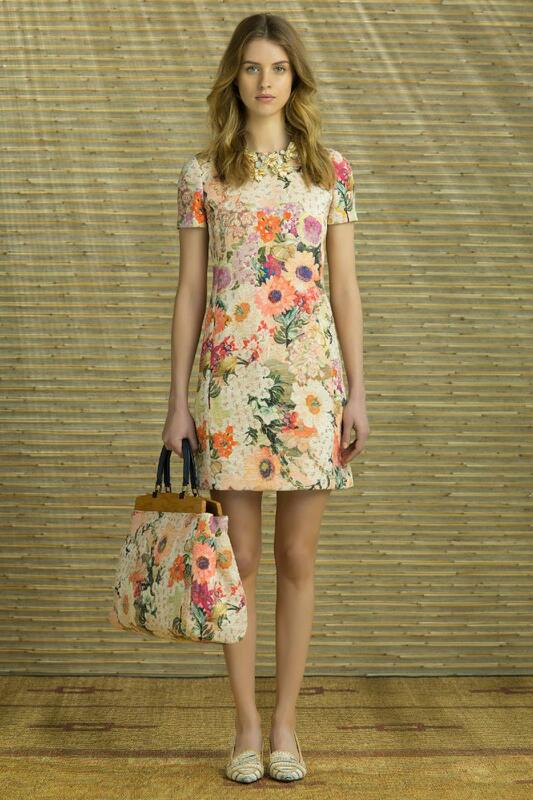 We love the hyper-feminine florals in Tory Burch's Resort 2014 collection. 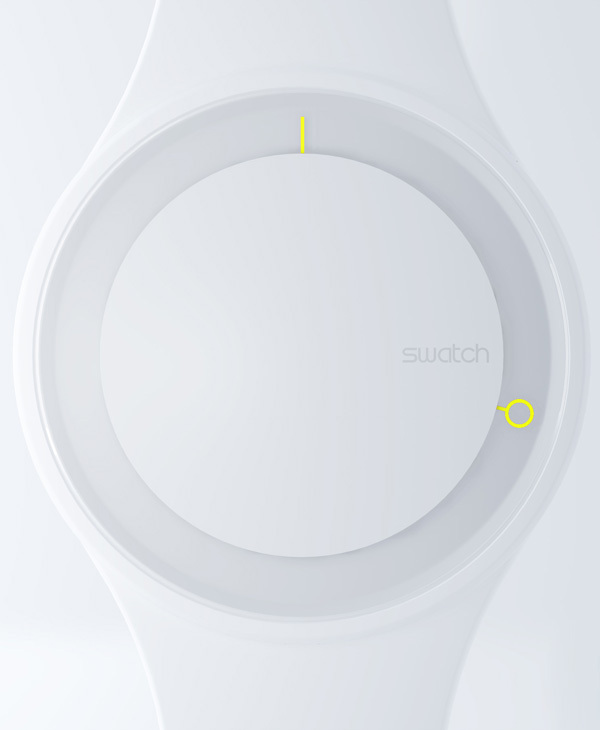 We like watches and we love minimalism so The Hoop from Swatch makes us very happy. Sleek and streamlined but still easy to read (a failing with many watches that go the minimal route) this concept by Simone Savini for NOTdesignstudio features a clean white face and body with two simple hands: a line (minutes) and a circle (hours) in vibrant colours which protrude from under the face. Brussel-based designer Maarten De Ceulaer whose balloon bowls we featured here is part of Studio With a View, a workshop space which is shared by an architect, two photographers and five designers, including designer Raphael Charles who has created the Multiple, a modular side- or coffee-table. The table is made of solid beech columns that are encased in a magnetic material. When lined up together, the columns form a solid yet easily conformable structure. Have a look at the video above to see the Multiple in action. We haven't seen anything on the local fashion scene recently that got us as excited as... these flower crowns. Strange as it may seem, we love the laid-back, hippie vibe of these custom- and hand-made headdresses from Paradise Flower Crowns. Just in time for summer and the party season, designer Avarie Graham has launched her bespoke business with a pretty and sophisticated campaign. Prices vary according to the design chosen and flowers used. See more of Avarie's designs and order a one-of-a-kind piece here. We really love the packaging of this collaboration between Australian beauty company Aesop and Marimekko. 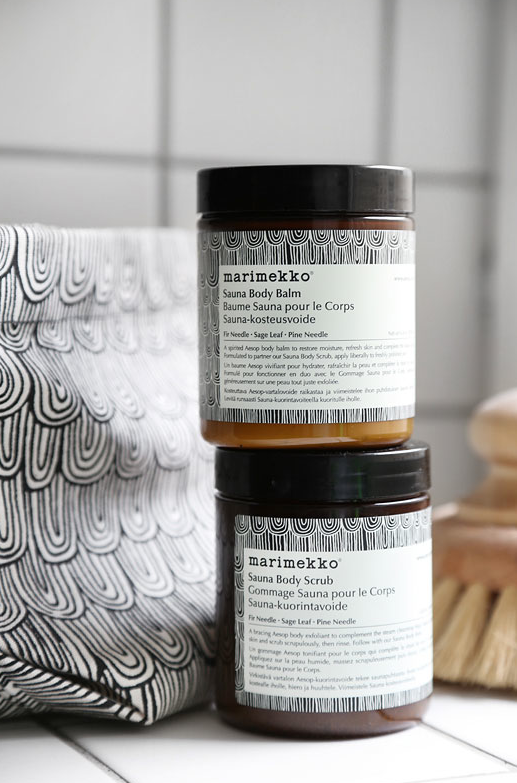 The collaboration includes a body scrub and a balm containing essential oils of fir, sage leaf and pine needle (chosen for their moisturising and nourishing properties) all packaged in recycled plastic jars and presented in a cotton bag which features Marimekko's monochromatic Vellamo print. 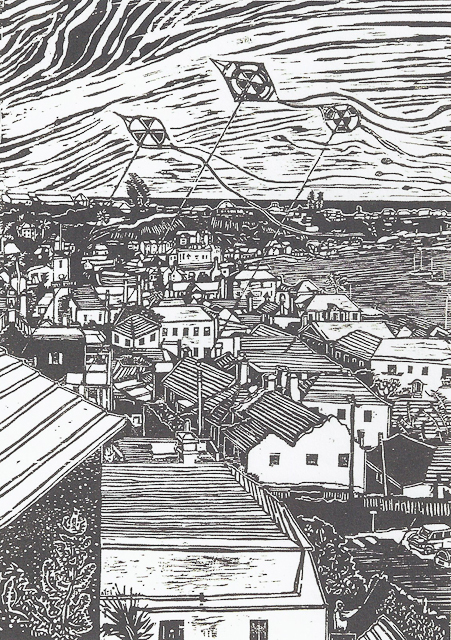 The print was chosen as it was inspired by moving water and Scandinavian bathing rituals. The Aesop-Marimekko Sauna Duet is available this month in stores and online here. This chair which resemble an amorphous creature with outstretched arms is the Catch chair by Jaime Hayon for &Tradition. Made from a single piece, the organically shaped chair was inspired by the harmony of curves and is intended to conform and comfortably adjust to different body shapes. 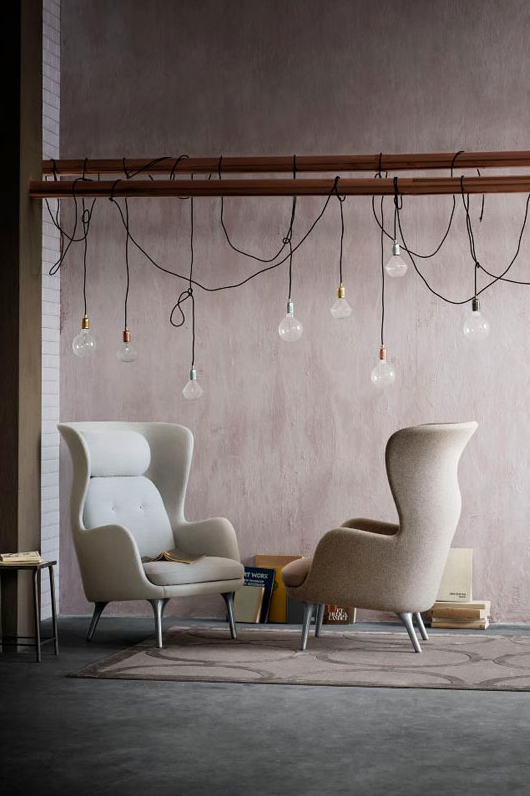 The chair is available in a variety of finishes: from the bare shell, to wool or leather upholstery. 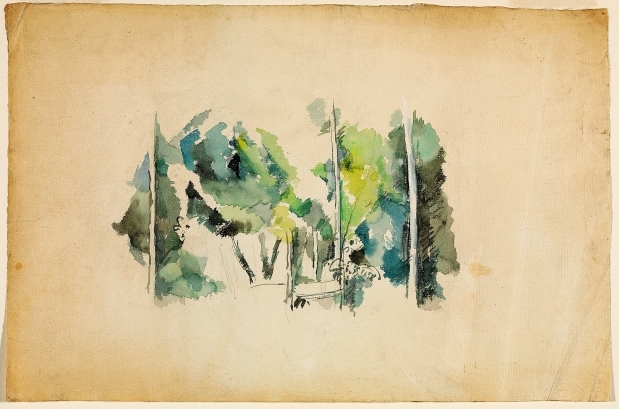 This watercolour of a wooded area entitled “Groupe d’arbres” painted by Paul Cézanne around 1890 was confiscated by the British Secret Intelligence Service in Bermuda during the Second World War. It was part of a collection of 270 Impressionist and Post-Impressionist paintings and drawings by Renoir, Cézanne, Gauguin, Degas, Manet, Monet and Picasso, which was being shipped to the US to raise money for Nazi espionage activities in North America. While most of the confiscated artworks were eventually divided and returned after the war, this painting was somehow left behind. Cézanne's painting recently re-surfaced in a vault in the curatorial wing of the National Gallery in Ottawa where the consignment had been sent to escape Bermuda's high humidity. 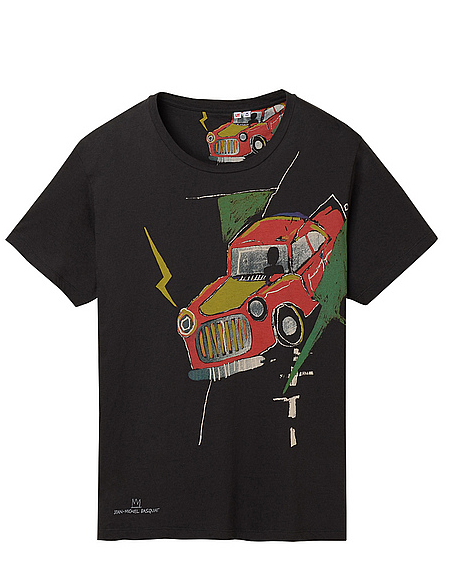 Uniqlo recently launched an exclusive range of Jean-Michel Basquiat t-shirts in stores and online as part of UT by UNIQLO Project. Launched in Tokyo in 2007, UT is a concept that brings together pop artists, graphic designers and their well-known iconic images on the humble t-shirt for mass consumption. This new collection follows last year's Keith Haring range and is slated to include an advertising campaign featuring Chloë Sevigny and Japanese star Tadanobu Asano. 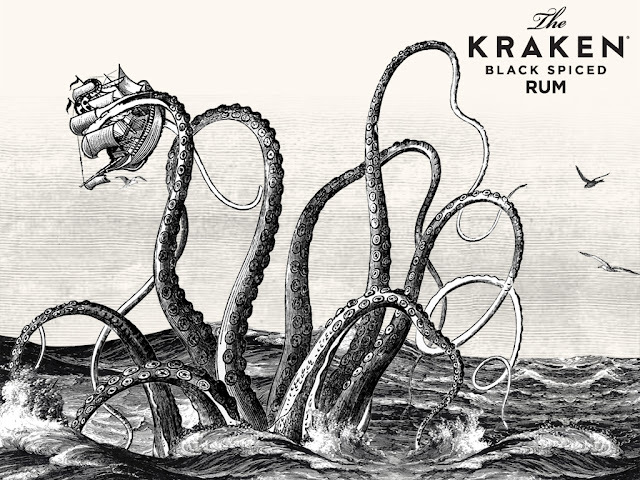 We came across this rum a while ago, struck by its slick packaging and spot on use of new media in its marketing, but it was only recently that we discovered the base rum used in The Kraken is from Trinidad and Tobago. The rum is aged for up to two years, after which time it is then blended with more than 11 spices. All ingredients added to it are natural and as a result The Kraken is gluten-free and vegan. In addition to the impressive use of new media platforms, the traditional marketing push of the rum is remarkable with much attention to detail. The Kraken’s proprietary bottle is a replica of a Victorian Rum bottle, featuring two handles which allow for easy portability (as well as potability) and to our mind evokes a squid's eyes on side of its head. Have a look at the rum's impressive branding and downloadable items here. 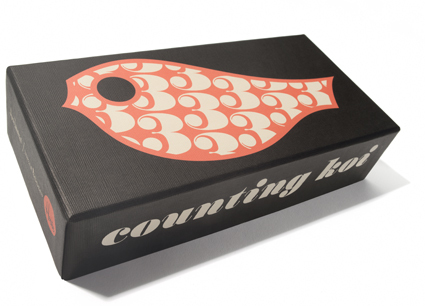 These Counting Koi wooden blocks come straight from original House Industries numerical data. Consisting of ten fish with embossed numerals and numeral patterns, the blocks are simply designed and striking. Each block is printed by hand with non-toxic, lead-free, child-safe inks and come in a special keepsake box. 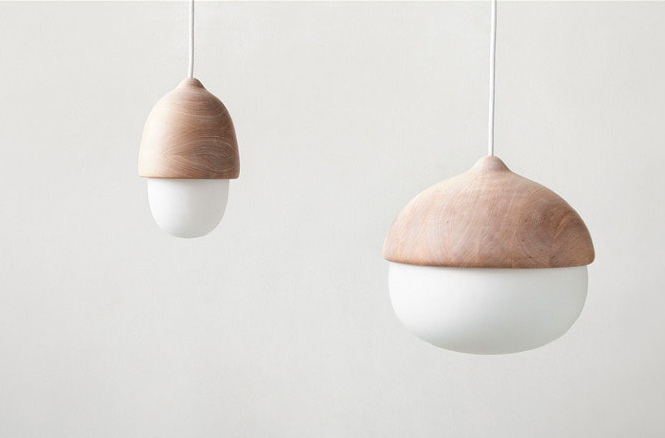 Evocative of acorns, these Terho and Tatti lamps are designed by Finnish designer Maija Puoskari. Intended for use in both public and private spaces, the lamps are inspired by natural and "synthetic" shapes of acorns. 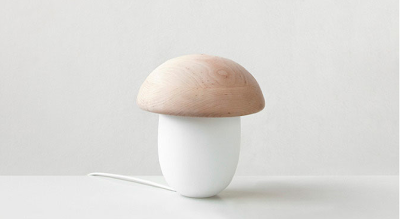 The lamps come with differently-sized caps and are made of opal white mouth-blown glass and Finnish alder. 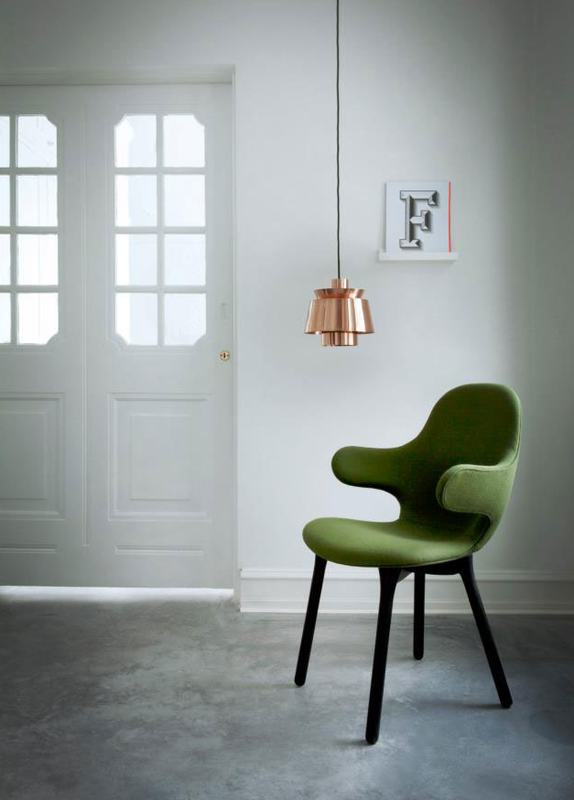 The Ro chair is a collaboration between Spanish designer Jaime Hayon and Republic of Fritz Hansen. Made with sustainability at the forefront, the Ro (which means "tranquility" in Danish) is another form of seating which is intended to allow the user to create their own private space. 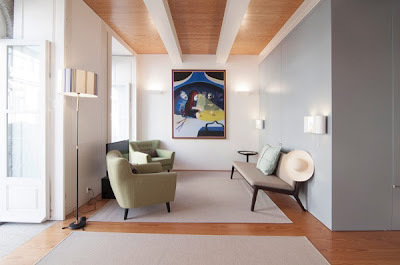 The chair's upholstery comes in two differing textures: one for the shell of the seat and the other for the cushions, which echoes the tough exterior and soft interior of the chair. The chair is also available in nine colours ranging from sober to vivid brights and pastels, the variety of which ensures that the chair will fit into any room or existing decor. The Ro chair was launched at the Salone Internazionale del Mobile last month and will be available for purchase in the latter part of 2013. 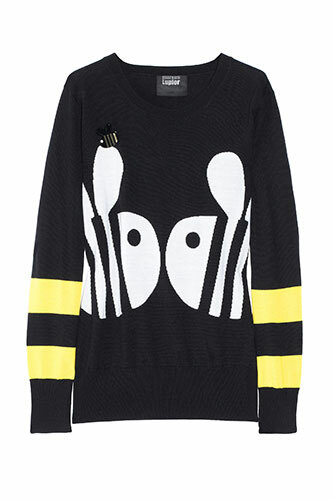 We love these adorable and (given the recent cold snap in the UK) not completely unseasonal sweaters from Markus Lupfer and accessories designer Katie Hillier for Net-A-Porter. The sweaters feature Hillier’s signature animal motifs which have been blinged by the addition of Lupfer’s iconic sequin designs. 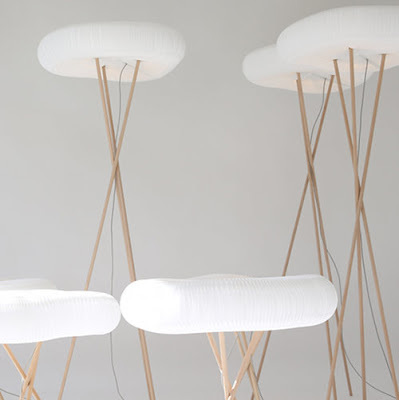 There's a reason why the soft, diffused light found on slightly overcast days is the best for photography and now molo, the makers of these ethereal-looking lamps have recreated the effect for the indoors. The shades of the Cloud Floor and the Cloud Table Softlights are comprised of hundreds of cellular honeycomb-like forms which are lit from the inside by energy-efficient LED bulbs. Suspended from a tripod of beech legs, the effect is an ambient light which makes the lamps ideal for reading or carrying out detailed work, while the striking design and shape are sure to create a focal point in any room. Target have announced that their next high-fashion partner will be 3.1 Phillip Lim. The collection will hit stores shortly after the completion of New York's Fashion Week on September 15 and will consist of more than 100 items for women and men ranging in price from $20 to $300. 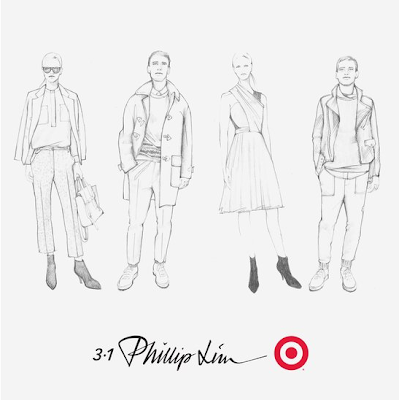 A teaser trailer and sketches of the line were released last week as Target steps up promotion for the collaboration. Benjamin Hubert, designer of the Plicate watch which we featured here, shows what a diversified designer he is with this series of terracotta storage jars that are glazed on the inside and have lids made of pliable silicone. 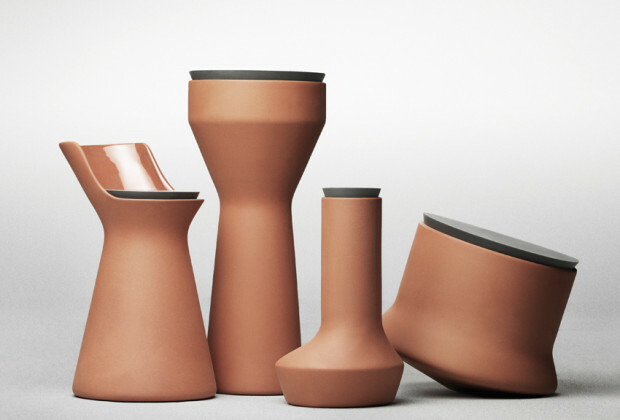 Manufactured by the Danish company Menu, they are a successful representation of traditionally modelled clay and a contemporary industrial material. The 2012 Charman Prize awarded last October represented the fifth time the event has been held and, while there was no shortage of talent, the winning entry was in our minds immediately evident. Molly Godot's watercolour painting Green Man Gombey (pictured after the jump) was a beautifully executed piece which cleverly and wittily played on the Bermudian theme of the competition in a subtle and intelligent manner. The Gombey is a popular cultural touchstone and as such is often featured as a shorthand for all things Bermudian. As the judges stated, Godot created a balance between the literal and the anthropomorphic with simple grace and beauty. Simple in its concept but visually striking in its effect, these are the Bonbons lampshades by Ana Kras, a Serbian designer based in New York. 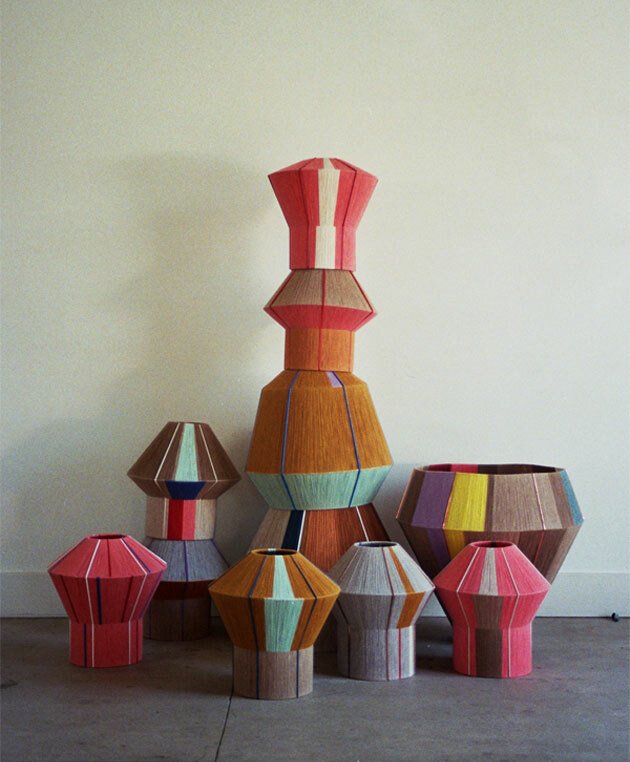 Each lampshade is made by hand by Kras and is one of a kind. Let's jump the gun a few months and show you the Whistles pre-fall collection which is scheduled to arrive in stores in June (hello, summer?). It features minimal tailoring, a monochromatic colour palette, and geometric prints. This version of Alvar Aalto's iconic Stool 60, the surface of which resembles a bisected tree trunk, was designed by Nao Tamura to commemorate the stool's 80th anniversary and shown at Salone Internazionale del Mobile last month. 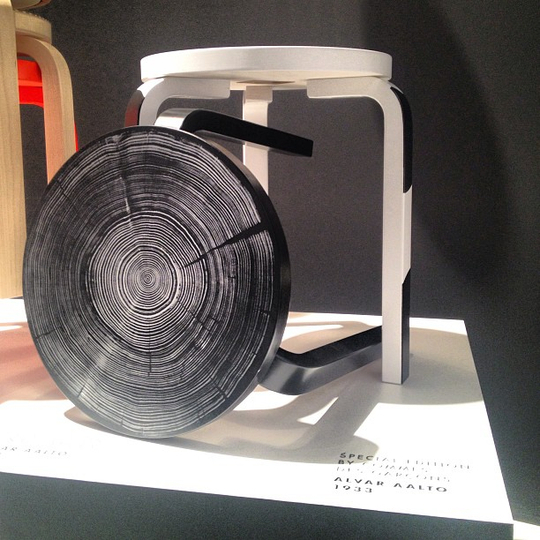 Stool 60 was first introduced internationally at the Wood Only exhibition in London in November 1933. The simple, stackable and durable wooden stool represented a new approach to furniture design, and a continuation of the brand of modernism initiated by Bauhaus and the use of wood instead of bent steel was revolutionary at the time. Aalto spent years developing the L-shaped leg at the Korhonen furniture factory. The result is a durable and modern technical solution that has led to the creation of many other classic designs. West Elm have partnered with the designers at Baggu to create this stylish but utilitarian latex-dipped canvas bag. 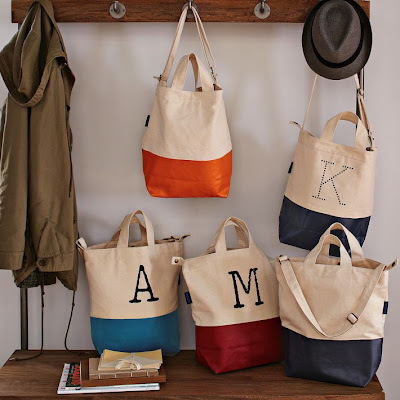 Available in several colours and with your choice of a monogram, the two-toned totes are the perfect size for school, the market or the beach. 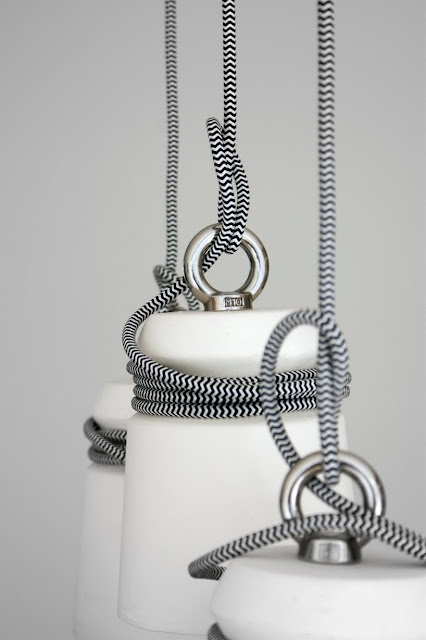 Inspired by mooring bollards found on wharves, Rotterdam-based designer Patrick Hartog created the Cable Light pendant lamp. 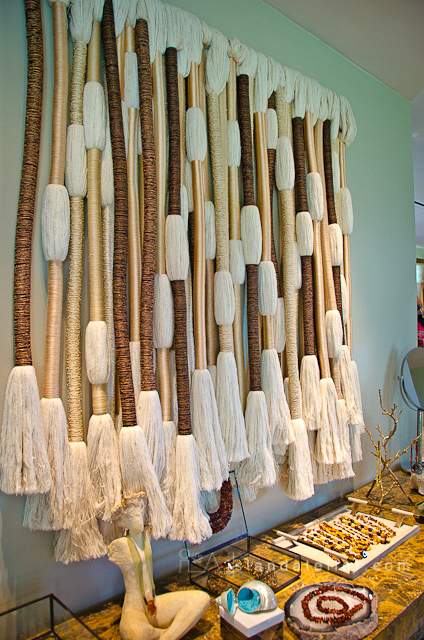 The shades are made of ceramic created by slip casting techniques and are wrapped by the electric cable which act as a strikingly simple embellishment to the otherwise minimalistic feature. 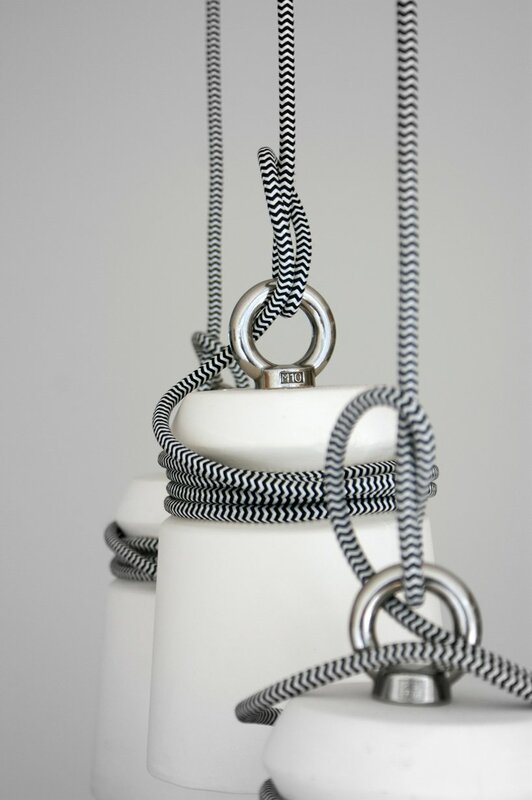 The lights can be customised with different coloured or patterned cables and the metal ring from which the cable is hung ensures that the light is balanced. We love Soludos for its timelessly chic footwear and the way they cleverly align themselves with other brands to keep the line fresh and interesting. This time, they have produced their iconic shoe in vibrant fabrics from LaLesso, an African fashion line whose prints are inspired by Khanga, the traditional wraps of fabric. We featured the main hotel here, but the boutique at the Viceroy in Anguilla was pretty impressive on its own. With a mix of art and fashion, the carefully curated selections include everything you'd need for a glamourous tropical vacation including swimwear by Eres and Melissa Odabash, sandals by Jack Rogers and Pedro Garcia and, of course, clothes and jewellery by Kelly Wearstler, the hotel's interior designer.